Married to a PRC National - Want to Move Her to Hong Kong? What impact does being a Hong Kong permanent resident have on being married to a PRC national presently resident on the Mainland? He married a mainland Chinese girl in Hong Kong and they now have a baby who was born in Hong Kong and now a British Passport Holder. In what way can the wife apply for a dependent visa? The immigration rule says that mainland residents are not eligible to apply for this visa. If my friend acquires Chinese Citizenship and gives up his British passport, can he then bring the wife to Hong Kong as a dependent? If not, what other ways? Another option would be for his wife would be to consider a student visa. She can enroll for full-time locally-accredited post-secondary programme including short-term course (e.g a Cantonese Course) or part-time locally-accredited taught postgraduate local programme. Yes, this is an option too. 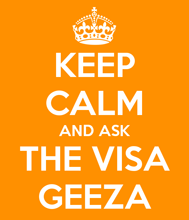 The Visa Geeza recently posted..How Can Hong Kong Technology Startups Improve Their Chances of Winning Investment Visa Approvals for Their Founders?